Catastrophic head injuries are a major cause of death and disability in our country, particularly in cases in which the head injury results in trauma to the brain. The main purpose of the skull is to prevent the brain from suffering any harm; in addition to the bony protection, the brain is covered in tough fibrous layers and surrounded by fluid, which provides minimal shock absorption. When an individual sustains a head injury, the brain may suffer a range of injuries from bruising and swelling to profuse bleeding and permanent damage. Head injuries are typically caused by a bump, jolt or blow to the head, or a penetrating head injury that has the potential to disrupt the normal function of the brain. Depending on the severity of the head injury, the victim may suffer from minor side effects like a concussion, or life-altering complications like coma and brain damage. 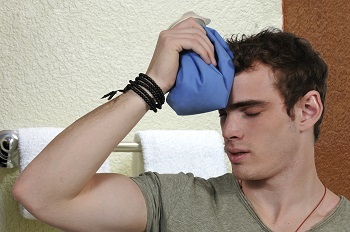 If you have suffered from a traumatic head injury in Georgia, contact our experience head injury attorneys at Rechtman & Spevak today for legal help. Head injuries are a serious public health problem in the United States, resulting in significant disability and tragic loss of life every year. One of the most prevalent types of head injuries in the United States are traumatic brain injuries, which affect more than one million Americans annually. Statistics show that, of the 1.7 million Americans who sustain a traumatic brain injury (TBI) each year, 1.4 million are treated and released from the ER, 275,000 are hospitalized, and 52,000 die. In Georgia, the most common causes of head injuries and traumatic brain injuries include falls (49.8%), motor vehicle accidents (24.4%), being struck by a person or object (14.3%), and violence (11.4%). Some other common causes of head injuries include DUI-caused accidents, pedestrian accidents, motorcycle accidents and workplace accidents. While head injury symptoms can vary widely depending on a number of factors, the most serious symptoms of a traumatic head injury include slurred speech, headache with nausea and vomiting, blurred or double vision, confusion or drowsiness, excessive thirst, loss of consciousness, loss of sense of smell, or blood or clear fluid running from the nose or ears. The appropriate treatment for head injuries depends on the type, location and severity of the injury, but approximately half of individuals with severe head injuries will require surgery to remove or repair ruptured blood vessels or bruised brain tissue. Unfortunately, serious head injuries have the potential to cause significant disability, including problems with memory, thinking, sight, hearing, communication, understanding, and behavior or mental health. The most serious head injuries, not including those that result in death, can subject the victim to a sort of stupor or unresponsive state, a coma, a vegetative state, or a persistent vegetative state, which typically lasts for more than a month. For victims of serious head injuries, life can change in the blink of an eye. Many victims of head injuries never regain consciousness or the ability to walk, never mind being able to return to work or care for loved ones again. While no amount of financial compensation can make this easier to deal with on an emotional level, collecting damages for a head injury can help victims and their families obtain quality medical treatment and long-term care, if required. By filing a personal injury lawsuit against the person who caused your loved one’s head injury, you can seek the compensation that he or she deserves. Serious head injuries can rob victims of their ability to remember loved ones, hold any type of gainful employment, or even care for themselves on a daily basis. If you or a loved one has sustained a serious head injury in a Georgia accident, contact our qualified head injury attorneys to explore your compensation options. You may have grounds to file a personal injury lawsuit against the negligent person or party in order to pursue financial compensation for your injuries, treatment, rehabilitation, long-term medical care, and emotional pain and suffering. With the help of our experienced lawyers, victims of head injuries in Atlanta, Marietta, and in other parts of Georgia can protect their legal rights and pursue fair and timely reimbursement for their injuries.